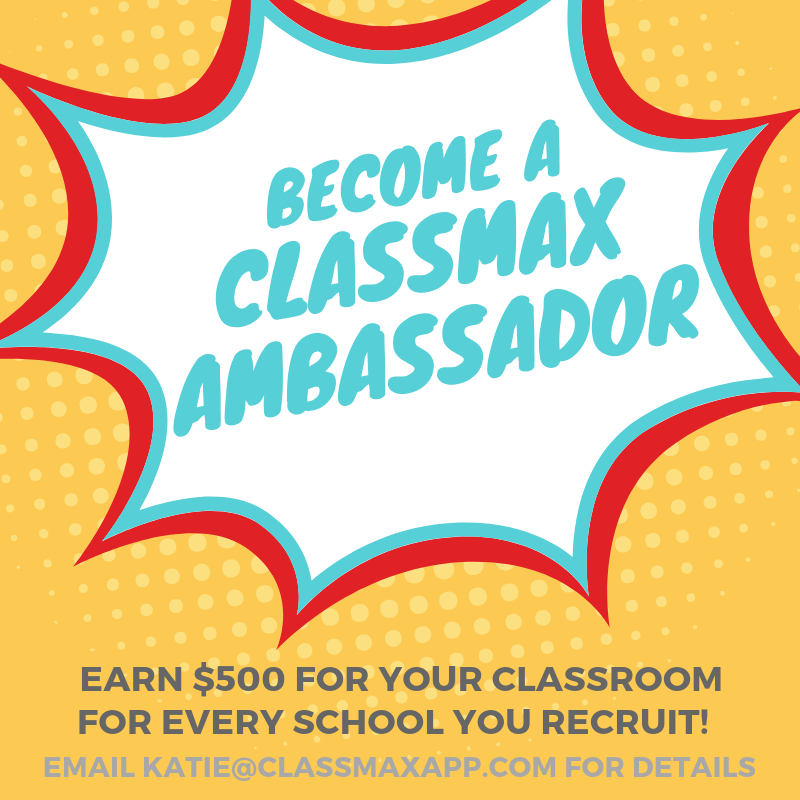 Become a ClassMax Ambassador and Earn $ for Your Classroom! At ClassMax, we pride ourselves on being a teacher-driven product, which is why we are turning to teachers to help us get the word out about our ClassMax Schools platform. In a ClassMax School, not only do all teacher have accounts, but administrators have accounts, as well. The administrator dashboard allows an administrator to see exactly what is going on in their school in real time, at a quick glance. From here, administrators can run reports by standard, teacher, student, date, tracking element – and so much more! In addition to the administrator dashboard, our ClassMax Schools have a few added features, such as the ability for a teacher to assign information to any student in the school. This is especially helpful for push-in teachers who work with many different students, in many different classes. But perhaps our most popular school feature is our PBIS tracking program, MaxPoints. 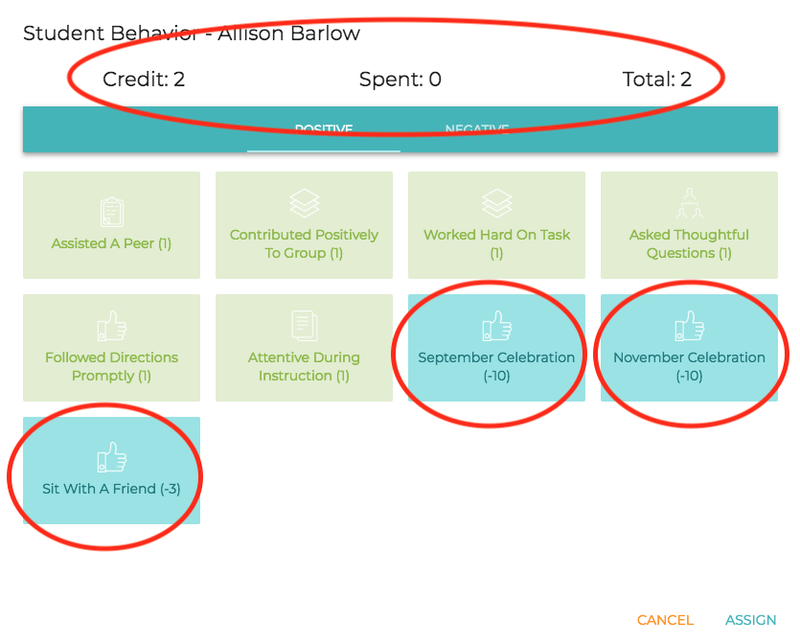 In a ClassMax School, teachers are able to give positive behavior points to any student in the school, to groups within their own classes, or to their entire class at one time. These points accumulate into a student bank of credits, which can then be spent on incentives. If you think that ClassMax Schools would be something your administration would be interested in hearing more about, become a ClassMax Ambassador! Set up a meeting with your administrator and one of our team members for a quick virtual demonstration of the entire ClassMax Schools platform. If your school purchases, you receive $500 for classroom supplies as our way of saying thank you for spreading the word! But we won’t stop there! For every school you bring on as a ClassMax School, you’ll receive an additional $250 for your classroom. So, spread the words, teacher friends, and earn some cool stuff for your own classrooms, too! To schedule a demo for your school, email katie@classmaxapp.com. This entry was posted in ClassMax, ClassMax Schools. Bookmark the permalink. Upload Our Custom Rubrics or Make Your Own!